Federal agents seized nearly 1,400 Chinese-made children’s pirate Halloween costumes worth $10,000 because they contained 11 times the legal amount of lead. 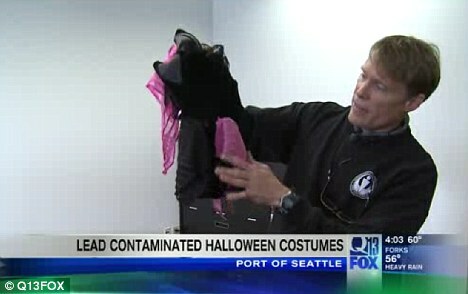 The toxic costumes seized by U.S. Customs and Border Protection (CBP) agents were part of two shipments bound for a Seattle area distributor. According to the Consumer Product Safety Commission, the pink buttons and trim on the little girls’ outfits contained 1,109 parts per million of lead. The legal limit is 100 part per million. 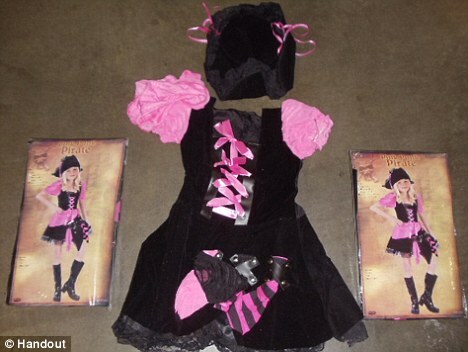 The Halloween getups, called Pink Punk Pirate, included a black dress trimmed with faux leather lacing and pink ribbons, a buccaneer’s hat and waist scarf. If children wearing the costumes were to put the buttons or trim in their mouths, they would have been exposed to the toxic substance, officials said. Two hundred and twenty nine boxes containing the 1,371 costumes were diverted to a warehouse for testing in September, and the illegal levels of lead were confirmed this week. All of the tainted products will be destroyed. The shipment from China was targeted for inspection because of a past violation from the manufacturer, according to CBP spokesperson Mike Milne. 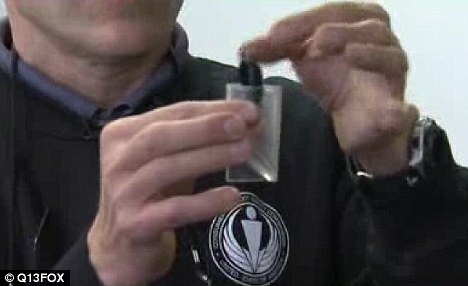 Investigators also said a plastic earpiece on the costume was a choking hazard, Q13Foxreported. Inspectors all over the country will now pull any shipments of the costumes from any port where they may have been sent. CBP seized more than 9,000 shipments of lead-contaminated products in 2011 at a total value of more than $24million. Officials inspecting products entering the U.S. have at their disposal handheld scanners that reveal the chemical makeup of the merchandise, allowing them to detect toxic substances like lead. High-tech gadget: Inspectors use a scanner that reveals the chemical composition of products being shipped into the U.S.
Lead poisoning can cause vomiting, coma or convulsions. Exposure to even low levels of lead can result in learning disabilities and make it more difficult for kids to concentrate. Health Today reported that in May, Centers of Disease Control and Prevention lowered the threshold level for lead poisoning in children from 10 micrograms per deciliter down to five.